Check out my interview with adventurer and TV presenter Simon Reeve on Sidetracked online. 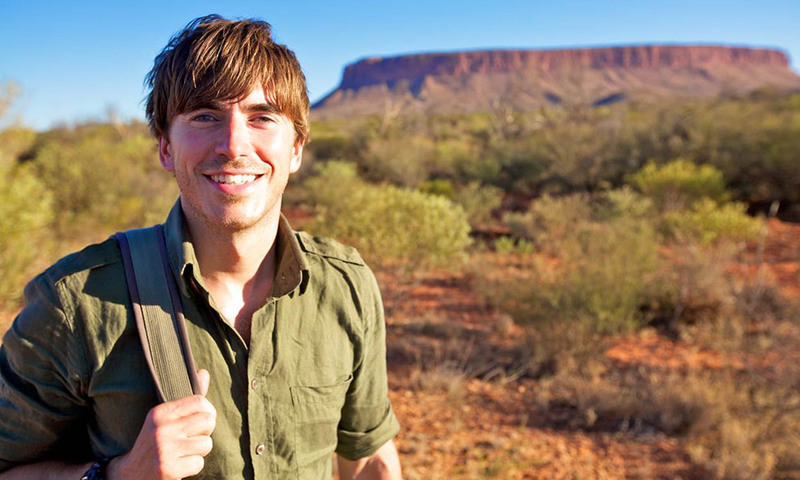 Over the last ten years, author, adventurer and TV presenter Simon Reeve has travelled the world with a camera in tow to record his extraordinary experiences for shows such as Equator, Tropic of Cancer, Tropic of Capricorn and Indian Ocean and now his latest adventure ‘Australia’, is showing in the UK on BBC 2. We spoke to Simon about his past, current and future adventures. Sidetracked: Hi Simon, thanks so much for taking the time to talk with us. Author, adventurer and presenter: which do you think best represents you? Simon Reeve: An adventurer would be one of the descriptions I might use if I was feeling really poncey along with author. I like calling myself an author because I wrote a book and I’ll be trading off that for probably the rest of my life. Also now, probably my most important title is dad and that’s the hardest one to live up to. So tell us a little more about your book, and how did you go from writing to presenting? I really don’t know how that happened to be honest. It’s really bizarre. I wrote a book on al-qada that came out in 1998 which warned of a new era of terrorism and nobody took any notice whatsoever and then 9-11 happened and it became a best seller, I went on the telly to talk about it quite a lot and that lead to discussions with the BBC about making TV programs for them. I had my own hair and teeth and I had written this book that had given me some experience and legitimacy and so I set off on a journey for them around central Asia which was interesting. It was an area in which I was really interested in and I thought BBC viewers might like to learn a little bit more about it and so that was my first TV gig. That was around Kazakhstan, Kyrgyzstan, Tajikistan and Uzbekistan for a series brilliantly titled Meet the Stans and I’ve been going ever since. I can’t believe it. Here I am now ten years later. Don’t tell anyone. Read the rest of the interview on the Sidetracked website here.